Instead of scanning, cropping, and emailing, I simply snapped a picture on my phone and texted it to Rusty. 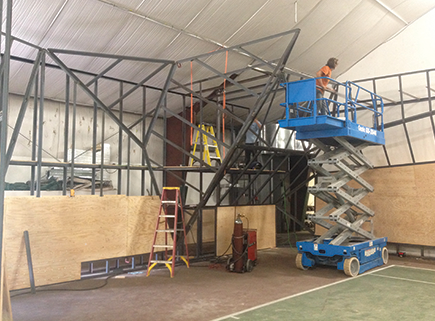 He responded: “I had been imagining something sort of like the upper left. 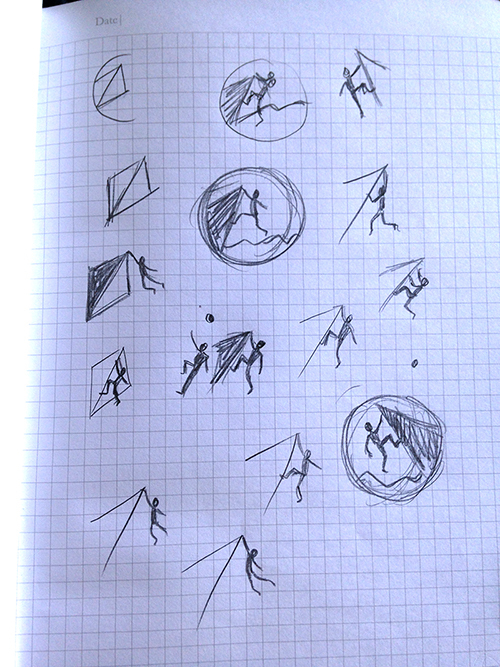 I like how clean the [the NCCC with the abstract shape] is, but without a climber it’s not clear it’s a climbing gym.” He mentioned that he liked how you could see both sides of the climbing wall in that sketch. 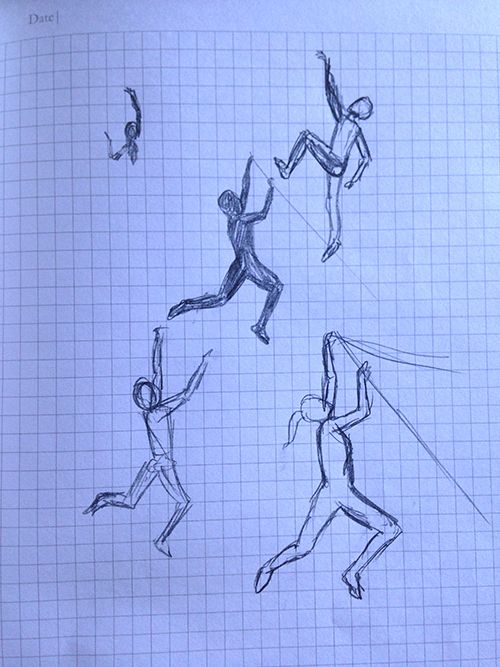 I tried more sketches after looking at various images of people climbing. 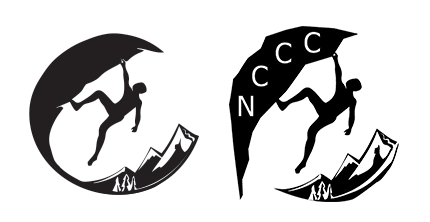 I decided that I liked having the orientation flipped from the original logo – having the cliff on the right and the person on the left seemed to flow better for me, particularly if there was going to be text on the right side of the logo. 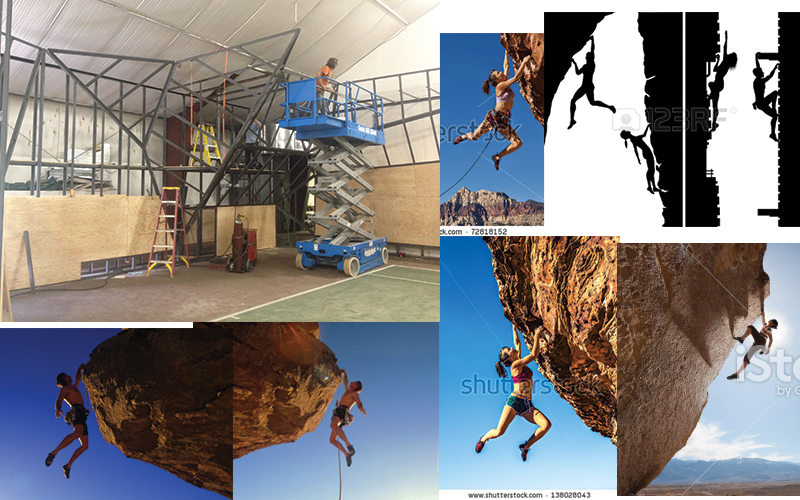 Rusty said that he liked “both hands on, both feet off.” Time to search for more stock photos and refine my figure. I knew that having a realistic figure was going to make or break this logo. Figure drawing is not really my forte, so I knew I’d have to look up some similar poses of real people to draw from. At this point, I felt comfortable enough to start some digital versions. I spent some time tracing and refining in Illustrator, then blocked out mountain and tree shapes. 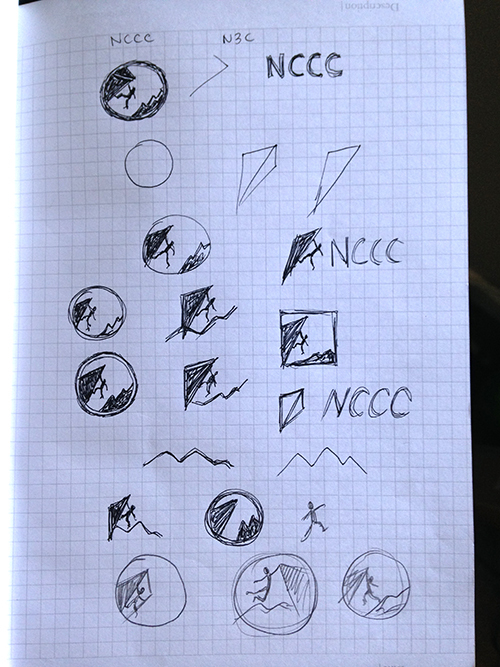 I also explored some different fonts. Top: Trend Slab. 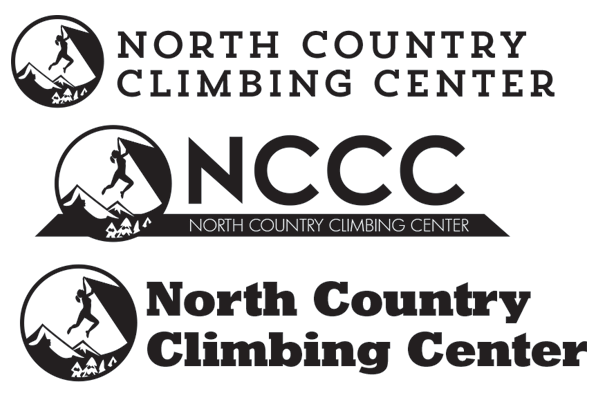 Middle: Modified Century Gothic for “NCCC” and Futura Light. Bottom: Geometric Slab Serif.